Today’s defense market broadly incorporates electronics into virtually every applicable system and piece of equipment – all governed by a complexity of tough control regulations. Responding to this market’s exacting demands, Variscite provided a very unique and customized solution to a leading European defense company. The end product, a 4G cellular tactical network communication, was based on two VAR-SOM-OM44 modules together with full software support on the BSP/driver layers. Addressing the harshest operating conditions, from vibration-resistance to extreme industrial temperatures of -40 to 85 °C, the robust industrial-grade design also carried a ten-year longevity commitment on all critical components. 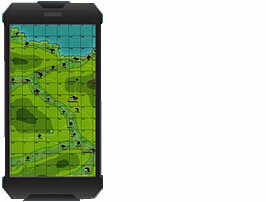 Further incorporated into the device was a feature-set unique to the application’s communication and mobility needs including dual camera inputs, IMU, fuel gauge and battery charger, cellular modems, haptic and GPS capabilities.